This might be one of the most perfect keto meals ever. Eggs + salmon + avocado. Salmon Avocado Omelet. BOOM. 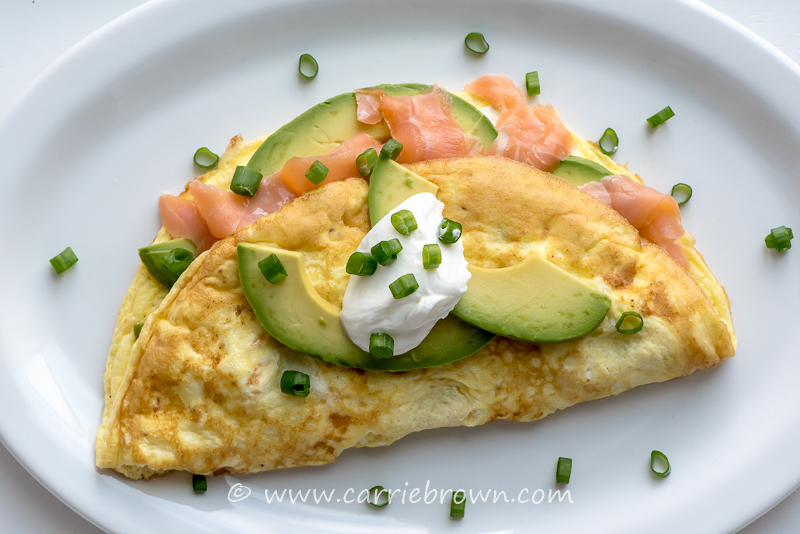 Omelets are typically reserved for the meal time formally known as breakfast, but I’d eat this Salmon Avocado Omelet at any time of day and be enormously happy. 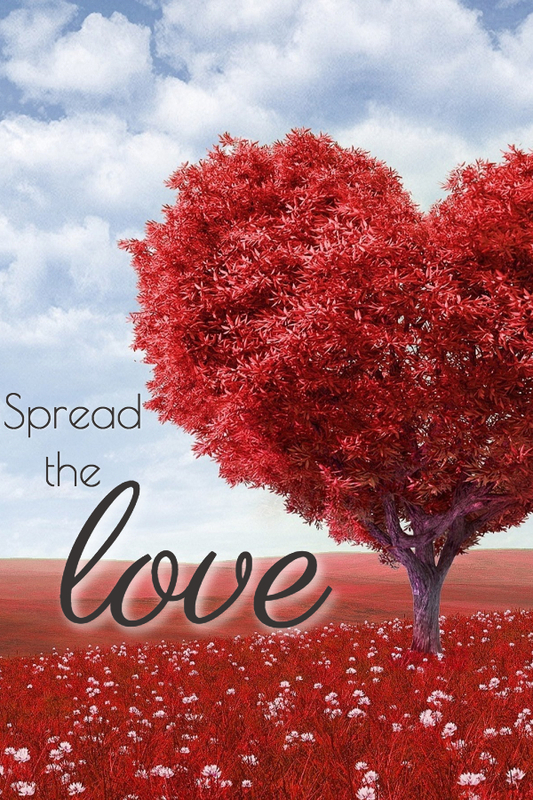 In fact, I do, regularly. Now, if you’re a seasoned cook and are sitting there thinking, “Seriously? You made an omelet and called it a recipe?”…yes! Yes I did! Because there’s a ton of people who are new to keto and new to a kitchen and all this cooking palaver, and who need to know how to make an omelet, and also need ideas to fill one. And there’s another ton of people who know exactly how to make an omelet, but love new suggestions of things to put in one; things that might not have occurred to them before. Omelets are one of the easiest, fastest ways to keto nirvana. They can be made in a matter of minutes, and require just one pan, one plate, and one fork. When you’re late home, tired, hungry, and out of ideas and time, the omelet is your answer. 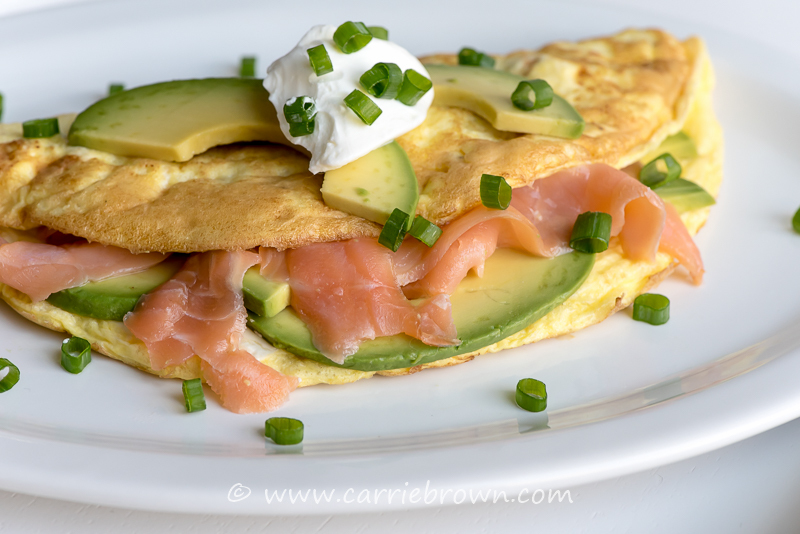 I filled this Salmon Avocado Omelet with a few of my favorite things: smoked salmon (lox), avocado, and cream cheese – all things that can be kept on hand in your fridge for when you find yourself in a meal emergency. It’s a rare day when you can’t find eggs, cream cheese, avocados, and smoked salmon in my house. Shift the paradigm in your mind that omelets are only for breakfast, and make them a part of any meal you feel like! Put the lemon juice in a small bowl. Cut the avocado in half, remove the stone, peel, slice and then toss the avocado slices in the lemon juice until completely coated. Put a frying pan over high heat for a minute and also turn on the broiler (grill). Whisk the eggs, sea salt and pepper well in a small jug. Add the pieces of cream cheese and stir well. Pour the egg mixture into the hot pan and cook without stirring for 30 seconds until the outer 1/8 inch of the edge is firm. The middle will still appear to be completely fluid. Remove pan from the heat and put under the hot broiler (grill) until the top of the omelet is just set (about 45 seconds). Remove from under the broiler (grill), shake the pan to free the omelet, and place pan back on the stove. 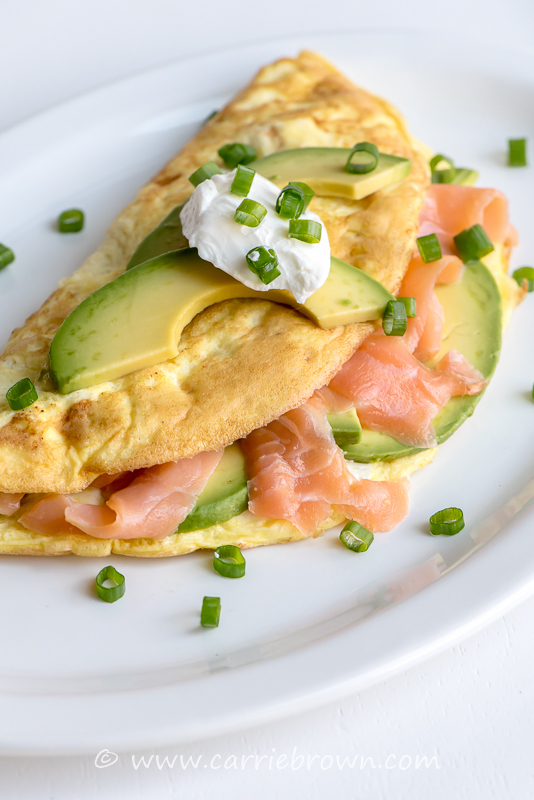 Add the salmon and avocado slices to one half of the omelet, then slide the omelet on a plate (filled side first) and flip the empty side of the omelet over the avocado and salmon. Sprinkle with onion and serve immediately. Smoked salmon (lox) keeps for ages in the fridge, so stock up when it’s on sale so you can enjoy it more often. I once bought 12 lbs from Costco because it was half price and enjoyed it for months afterwards.